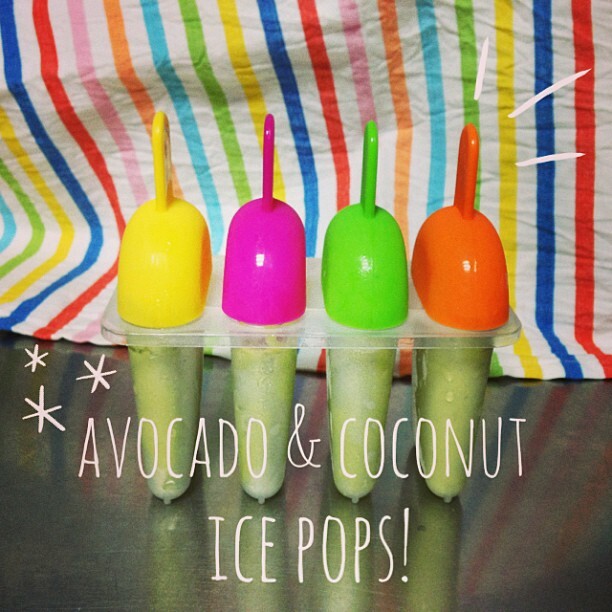 Last few weeks back, the weather got pretty hot..and since I had some avocados at home, I decided to make ice pops for the first time! eating it from the popsicle stick, so I scraped it and fed it to her instead. For the adults though, I added condensed milk to sweeten it and lessened the amount of milk. You could also try using gula melaka (palm sugar) if you don't have condensed milk. Additionally, instead of milk you can also use yoghurt. I found making ice pops a great way to get Kaitlin to eat her fruits, and for me to add in superfood ingredients like wheat germ. I'm thinking of adding chia and flax seeds in future as well. Can't wait to try out lots of other fruit combinations as well, so stay tuned!